Sometimes you need something that’s a little more special than a standard cab, especially if you’re having a client picked up on behalf of your business or you’re transporting a VIP. For this reason, we have an entire fleet of executive cars available to our customers. 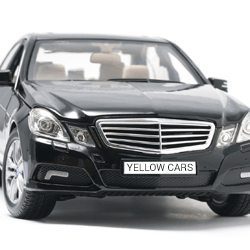 Usually, we will provide a Mercedes or a car of the same standard, ensure that it is immaculate inside and make sure the driver is dressed to impress your client or VIP. We have been used over the years by many of Nottingham’s leading businesses to transport their guests, as well as the cricket teams and football teams to transport players. Our luxury cars will ensure that your guests arrive on time and in style to any events or meetings that have been arranged. If you need an executive taxi in Nottingham, get in touch with us and we'll be glad to provide a quote for your journey.